I haven’t actually reviewed a load of Glenrothes, although I think of it as the Highland Park of the Highlands without the smoke. It works well in Sherry or Bourbon and shares some characteristics with Macallan too, meaning that it matures damn well. 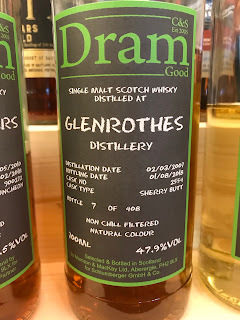 Nose: Sherry, golden raisin, heather and malt, red apple, orange, very slightly sulphury giving a meatiness, ethereal spirit with green apple, fresher as it develops. 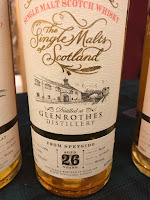 Taste: Sweet, Sherry, orange, then more Macallan-like with golden raisin, malt, heather, honey and chocolate. Some cinnamon and icing too. Black pepper into the finish. Finish: Medium length. A little bit of dark chocolate and harsh spirit. Quite spirity here. Bottled 2018 at 11yo. Again, thanks to Andrea for sharing some of his whisky. Shame about the spirity finish on this one but it would still be easy to mistake this for a Macallan. Nose: Juicy and fresh, lots of fresh juicy pear, green apple, clean, little of the dark flavours I was expecting, melon and watermelon, toffee and butterscotch. 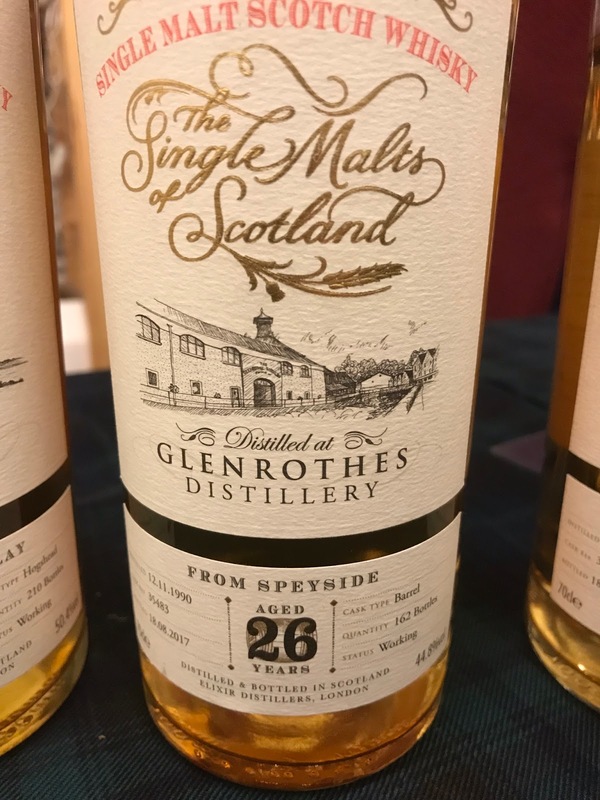 Taste: Fresh, juicy and light, beautifully balanced and building slow and gradual going from pear, green apple and lemon to malt, heather and delicious dark chocolate and leather. Finish: Long length. Dark chocolate hit then fades gradually with malt and heather. Bottled 2017 at 26yo, The palate is the star here, really good. Its amazing how this has retained the freshness at this older age while still being interesting.